Improve your ability to read nonprofit financial statements. In this workshop you will learn about the main sections of the balance sheet and profit and loss reports, how these two reports relate to each other and the information each report provides. We will cover cash basis vs. accrual basis presentation and why it’s so important to understand the difference. We will explain the statement of functional expenses as it pertains to your audit and Form 990. We will also cover key ratios and indicators of an organization’s financial strength. Understand the statement of functional expenses and how it relates to audited financial statements and form 990. Carol Wilson is a CPA who has worked in the nonprofit sector for over ten years. She completed her Master of Business Administration degree from the Roy E. Crummer Graduate School of Business at Rollins College in April 2008. Over the pastsix years, she has taught workshops on nonprofit accounting and budgeting for the Philanthropy & Nonprofit Leadership Center at Rollins College. Carol served as Accounting Manager in the Finance Department at Rollins College from 2000 – 2008. In that role she enjoyed teaching members of the campus community about budget management. Prior to Rollins, Carol assisted with the start up and was executive director of Florida Bicycle Association, a not-for-profit organization. Currently Carol is a partner with Care Accounting Services where she helps small businesses and nonprofit organizations set up and use accounting systems. She is also a QuickBooks Advanced Certified ProAdvisor. 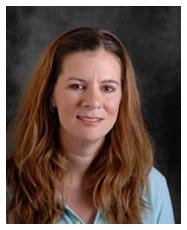 Carrie Schulz has worked in several aspects of Information Technology since 1995. She has also functioned as a bookkeeper and or accountantin a multitude of businesses which range from Real Estate Development to Hospitality to Health Services. She takes a special interest in Nonprofit organization accounting and technology processes. In 2006, Carrie earned an MBA with honors and in 2014 she earned her CPA. She most recently held a position of Director of Financial Information Systems and Strategic Initiatives at Rollins College. This experience allows the ability to offer a wide range of services to clients. Carrie is a partner with Care Accounting Services where she helps small businesses and nonprofit organizations set up and use their accounting systems. She is also a Quickbooks Certified ProAdvisor.